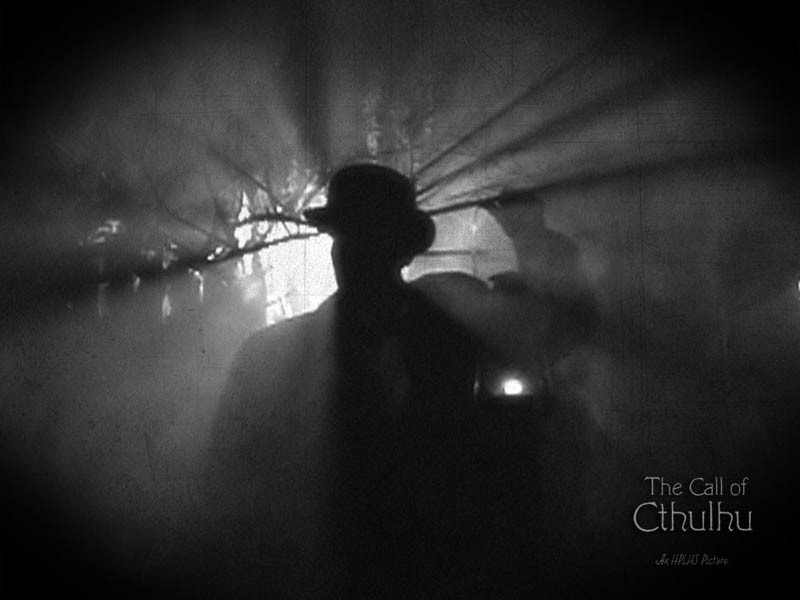 Like Van Helsing before him, Inspector John Raymond Legrasse has only had one canonical appearance: HP Lovecraft’s seminal “The Call of Cthulhu”. But like the Dutch professor, the Creole Inspector has continued on past the end of his own story, popping up here and there, stubbornly inserting himself into the arcane worlds of others, most notably those of CJ Henderson. Described as a “commonplace looking middle-aged man”, Legrasse is a man devoted to duty and possessed of an unshakeable resolve, despite his unassuming appearance. This resolve pitches him into conflict with the servants of one of Lovecraft’s most enduring creations, Cthulhu. Legrasse’ part in “The Call of Cthulhu” is a minor one, but its reverberations reach far, especially when one considers how much a template ‘The Tale of Inspector Legrasse’ is for the modern occult detective story. Inspector Legrasse is interesting, when taken in the context of Lovecraft’s predominant protagonist-types. He is reminiscent of the shell-shocked New York detective, Thomas Malone from “The Horror at Red Hook” — a worldly authority figure, thrust into conflict with the unnameable and unknowable. Legrasse, however, fares much better than Malone. Indeed, where Malone is effectively crippled by spiritual and psychological injuries, Legrasse is invigorated. After busting up a hideous ritual in the Louisiana bayou and brushing up against the unnatural world of Lovecraft’s tongue-twisting terrors, Legrasse’s first instinct is to dig deeper into the horrors he has glimpsed. Thus, he attends the 1908 meeting of the American Archaeological Society, looking to discover the meaning behind the strange green statue of Cthulhu that has come into his possession. Legrasse fades out of the narrative at that point, but his part in the story is an important one. In fact, ‘The Tale of Inspector Legrasse’ can be viewed as the patriarch of the modern occult detective tale. Previously, the occult detective sprang fully formed from the mind of their creator, properly equipped and significantly knowledgeable about the enemies they encounter. Thunstone, Carnacki, and the rest are experts in the occult, even as Sherlock Holmes is an expert in cigarette ash and breeds of venomous serpent; such characters don’t learn, they simply apply the knowledge which they already possess. Legrasse, however, is the first of a new breed of occult detective. He is the heretofore average man who suddenly becomes aware of the terrible things lurking beyond the veil. There’s poignancy to characters like Legrasse that’s oft-times lacking in their antecedents. There is a sense of, for lack of a better phrase, ‘loss of innocence’. Legrasse, having seen what lurks behind the curtain, cannot now unsee it. And, without those resources his predecessors had to call on — be they Tibetan ‘Ancient Ones’, training with Cherokee shamans, magical artefacts or psychic abilities — he is very much alone and adrift in hostile waters. In “The Call of Cthulhu”, Legrasse falls off of the map, plunging into the blank corners labelled ‘Here Be Monsters’, and his descent into the tumultuous darkness of that abyss is most ably chronicled by CJ Henderson in a number of stories. 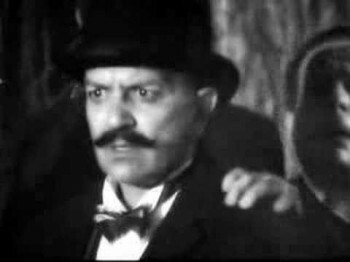 In “Patiently Waiting”, Legrasse is forced to confront the horrors he only dimly glimpsed in “The Call of Cthulhu” head on. 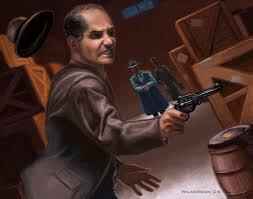 In “To Cast Out Fear” and “Locked Room” Legrasse seeks the aid of and comes to the aid of Anton Zarnak. In “Nothing to Fear But Dust”, Legrasse reaches his apogee, hurling himself into the breach one final time, his mind and soul shattered, but his will inviolate. What makes Henderson’s take on the character so interesting is that it makes an attempt to show what spiritual, physical and emotional strain the life of an occult detective would have on an otherwise normal man. For a man who lived half of his life as a figure of authority in a sensible universe, the sudden transition to or revelation of the nightmare landscape of HP Lovecraft’s hostile world has shattering consequences. Legrasse, in seeking answers to the dark questions which plague him, is drawn ever deeper into the unknowable. He is broken and rebuilt, trading humanity for knowledge. In contrast, Mark Ellis’ The Miskatonic Project, a series of graphic novels, we see a Legrasse who has learned all he needed and has, perhaps wisely, stopped digging. A man who has had his world-view shaken, and who eagerly turns over the strange things he learns to those whom have more experience. Legrasse-as-contact is a common occurrence in modern presentations of the character. Here he is the bemused authority figure; a man only too happy to let those with the disposition handle the outre. In both cases, Legrasse is an almost hapless figure, battered by fate. Rumpled and commonplace, Legrasse is an almost comforting figure in Lovecraft’s nihilistic universe, lacking the sinister overtones of Kirowan or Zarnak, the hearty confidence of Carnacki or the divine presence of Silence. Legrasse is a dogged Columbo rather than an omniscient Sherlock Holmes or a cunning Kojak. He is a normal man, facing an abnormal world with only his dignity and a badge. The gods do not tremble before Legrasse, nor do they notice him. Nonetheless, he puts himself in their path in the name of duty and diligence. 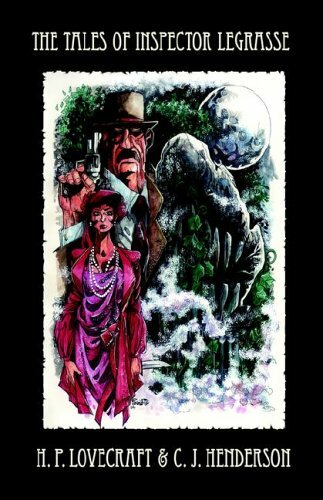 Mark Ellis’ The Miskatonic Project is available via his website, and CJ Henderson’s The Tales of Inspector Legrasse as well as To Battle Beyond, in which Inspector Legrasse teams up with pulp characters the Black Bat and the Domino Lady to fight a resurgence of the Elder Gods is available via HIS site. All are highly recommended.